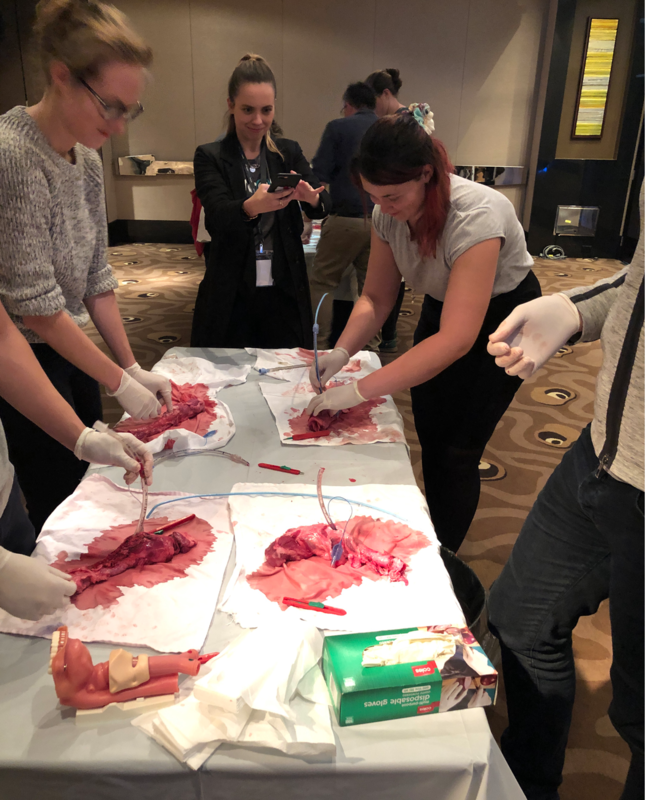 This is the Pre-Conference Workshop for the EMCORE CONFERENCE in Melbourne and the Convention and Exhibition Centre. Critical in the Arrest patient, as more than 10 breaths per minute are associated with ZERO survival (secondary to increased intra-thoracic pressure and decrease coronary perfusion pressure). Making more use of it in the ED. The best position for the non-trauma patient, especially for obese patients and this translates to others is sternal notch aligned with the external auditory meatus. Sweep from right to left and displace the tongue so you have a view. The landmark to look for is the epiglottis. This ensures that you start high and progress the laryngoscope down. One mistake people make is to put the laryngoscope in too deep. 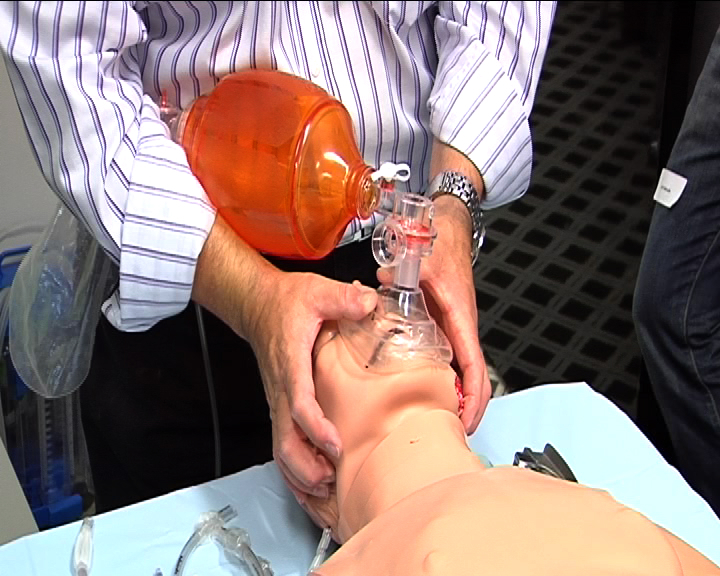 The placement of an introducer into the tube is one of the musts taught in this course. Ensure that your laryngoscope has swept the tongue to the left and now you should have lots of room to put in the tube. Progress the tube so you are watching it go from below upwards into the cords, so you have a view at all times. 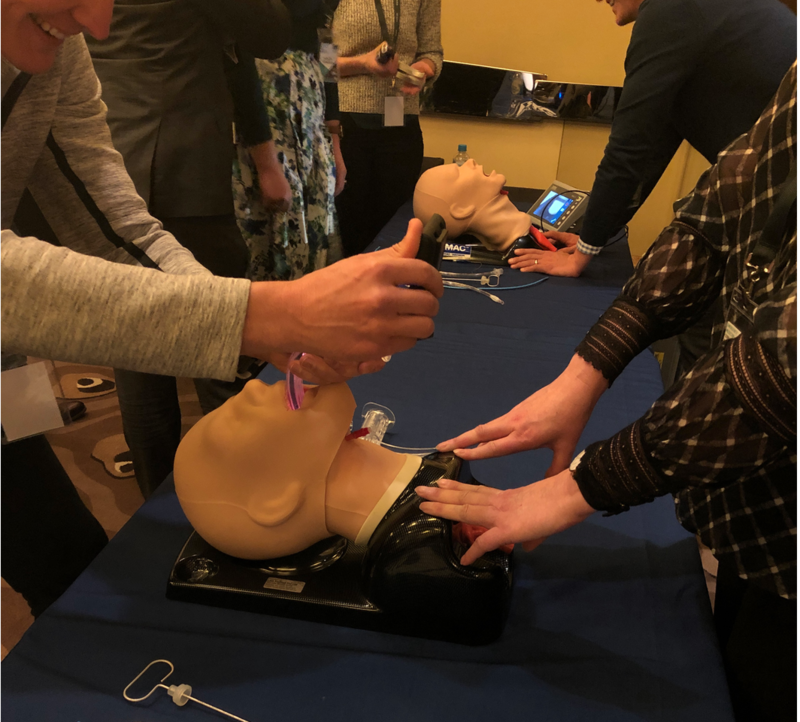 We now take the previous patient and make the larynx difficult for you to intubate. The tongue may become swollen. We change the anatomy to give you the chance to face the difficult patient. We introduce you to the BOUGIE. 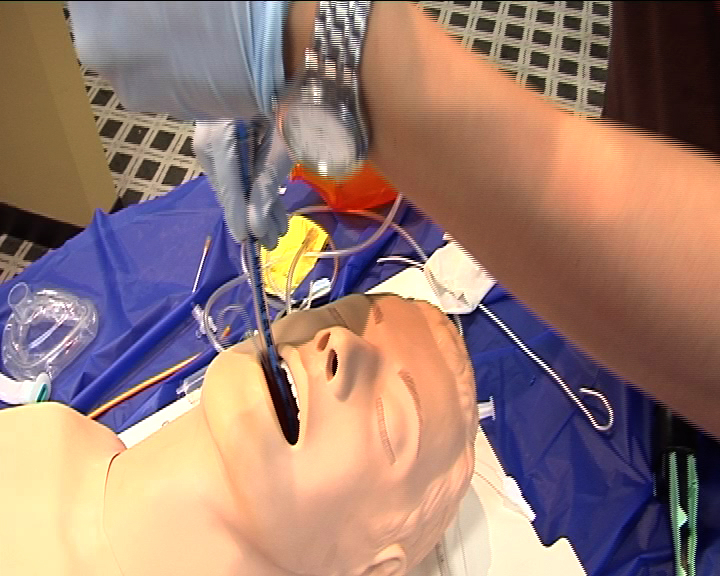 We also introduce you to the intubating laryngeal mask. We want you to have a plan if things don't work out right. What's your plan? 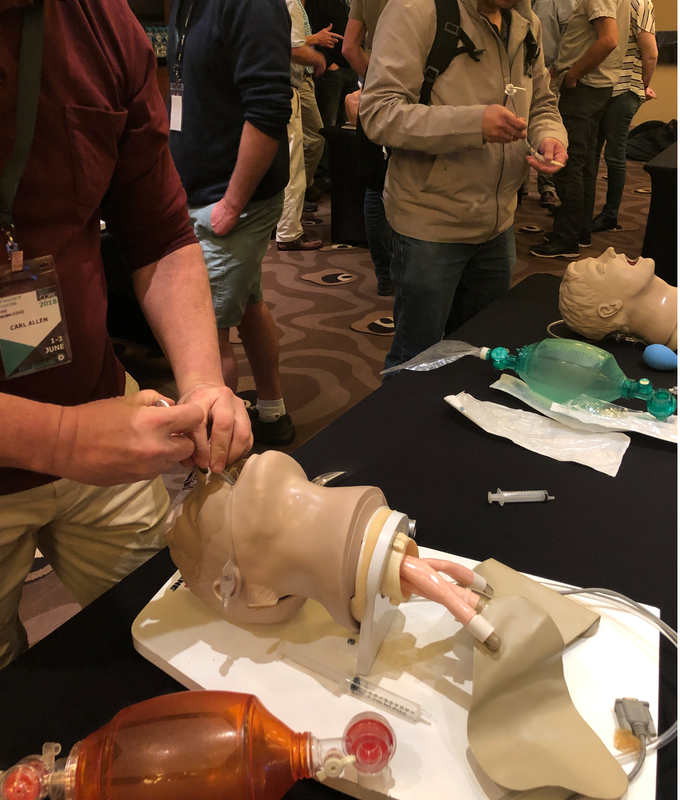 Following the 5 stations, there will be ample time to practice your skills on all the manikins, under the watchful eyes of our airway gurus, so you feel confident with your technique. 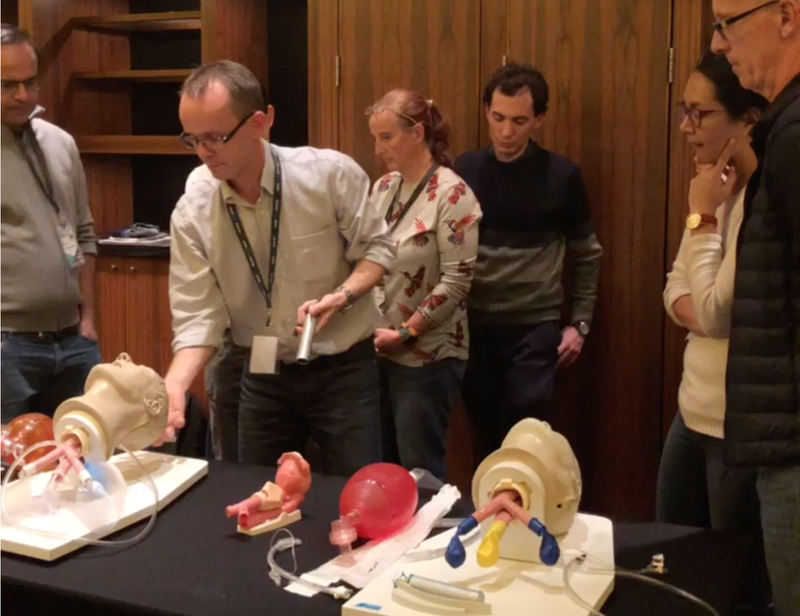 WHAT IF I CAN’T INTUBATE?